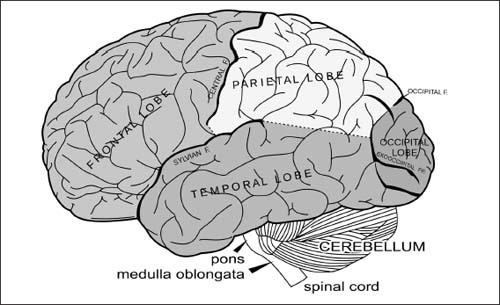 The cerebrum is the top part of the brain, and it contains your memories, knowledge, and languages, and it manages your senses as well. The cerebrum is the part of your brain that controls your movements and emotions and it’s where your thoughts take place. The major parts of the human brain.